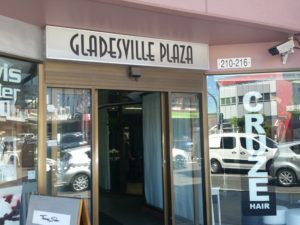 Gladesville is a well to do, prominent suburb of Sydney, NSW. It is situated about ten kms west of Sydney’s CBD, in the LGA of the City of Ryde. Majestic waterside views abound along the Parramatta River, which its bridge is the link from the North Shore to the Inner West area. Pests of concern are termites, cockroaches, ants and spiders. Pictured below is the plaza, a hub of specialty shops. Christ Church Branch located at 4 Jordan Street. 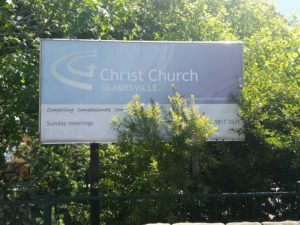 It has Sunday meetings and regular bible study groups. The psychiatric hospital is a major landmark and was built in 1838. It was originally named Tarban Creek Lunatic Asylum. 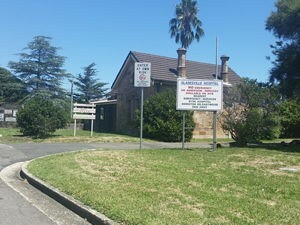 Some of the historical buildings and objects are; Workshop (former Male Ward 9), Wards 17 and 18, Punt Road gates, sandstone walling within hospital sourced from North Rocks, Service Buildings, Original Quadrangle Complex of 1838, Punt Road gates, Gatekeeper’s Cottage near Punt Road gates, Former Medical Superintendent’s Residence, Doctor’s Residence, Gardener’s Store, Pottery Building, Medical Records Department, located on Victoria Rd, Escarpment Terraces, Provision Store, Cypress Grove, also on Victoria Rd, Gatekeeper’s Lodge, The Priory, located in Salter St.